The statistics are staggering. Alzheimer’s disease is currently the sixth leading cause of death in the United States. According to the Alzheimer’s Association, in the years between 2000 and 2015, while heart disease deaths have decreased by 11%, deaths related to Alzheimer’s disease have increased by 123%. Alzheimer’s currently affects 5.7 million Americans, a number that is estimated to rise to nearly 14 million people by 2050, which would mean that it was afflicting over 3% of the total population. The economic impact in terms of health care costs are dizzying, not to mention the extreme emotional turmoil this disease has on an individual’s surrounding community of family and friends. It is vital that we take a long look at the progression of this terrible disease and consider any and all possible interventions that may reduce our individual risk. Alzheimer’s has historically been considered unique among chronic diseases for its relative lack of treatment options, whether curative or preventative. The development of the disease has been poorly understood, and its progression – the literal losing of ones previously rational and cognizant mind – is certainly a scary thing. As such, within the popular culture there has developed something of a helpless blind fear associated with the risk of developing Alzheimer’s disease. Fortunately, substantial gains have been made over the past decade in better understanding the pathophysiology of Alzheimer’s disease, as well as developing research to better understand the risks and determine potential prevention strategies to ward off its progression. It is now well understood that there is a genetic component to Alzheimer’s disease. Having a first degree relative with Alzheimer’s increases an individual’s risk of development by 10-30%. The strongest genetic risk comes with Early Onset Alzheimer’s (where the diagnosis is made before the age of 65). Fortunately, this form accounts for less than 1% of total Alzheimer’s disease cases. These cases notwithstanding, we now understand that there are a number of particular genes that play a factor in Alzheimer’s progression. Perhaps the most discussed is Apolipoprotein E (APOE). Variants of this gene are also associated with higher risk of cardiovascular disease and Type II Diabetes. It is important to remember that in these cases having a particular gene does not guarantee development of Alzheimer’s disease. It is simply an additional risk factor, and all the more reason to focus on the preventative strategies that have been shown to be effective. For people interested in knowing their genetic risk, testing is available at our clinic. It is now known that low-level, long-term systemic inflammation is an aggravator of most chronic diseases, from cardiovascular disease to arthritis to cancer, and Alzheimer’s disease is no exception. The clearest example of this is in cases of direct head trauma and concussion. These injuries cause immediate acute inflammatory processes to occur within the brain, and also lead to increased risk of developing Alzheimer’s later in life. This is especially the case when injuries occur repetitively, as is the case with some professional athletes. But inflammation in the brain does not only come from direct head injury. Chronic inflammation throughout the body can affect brain changes over time, including the accumulation of amyloid plaques and particular proteins that become the visible hallmark of Alzheimer’s disease on imaging. Understanding the how’s and why’s of chronic inflammation can go far in the determination of proactive prevention strategies for the avoidance of many chronic diseases, including Alzheimer’s. A vitally important step in the understanding of Alzheimer’s disease is the acknowledgment of its strong connection with elevated blood sugar and insulin resistance. This link is so strong that in 2005 a published medical paper coined the term “type III diabetes” as another way to consider Alzheimer’s. In 2008, a scientific review concluded that there was “strong evidence in support of the hypothesis that Alzheimer’s disease represents a form of diabetes mellitus that selectively afflicts the brain… containing molecular and biochemical features that overlap with both type I and type II diabetes mellitus.” Understanding this connection is imperative in considering beneficial prevention strategies. Higher and higher levels of glucose in the blood stimulate the body to produce more and more insulin. Elevated insulin levels have direct negative effects on multiple regions of the brain, including increasing oxidative stress, damaging proteins, and increasing inflammation, leading to higher expression of amyloid protein formation. Since the pathological changes within the body (including the brain) secondary to elevated blood sugar levels are relatively slow in progression, we must consider preventative interventions much earlier in life to reduce risk of the development of Alzheimer’s disease. Fortunately, much is known about interventions for the prevention of type II diabetes, and many of these recommendations are applicable in the case of Alzheimer’s disease. Primarily, it is important to consider where all this excess glucose comes from. In the vast majority of cases it comes from our diet, of course! It should come as no surprise that what we choose to eat day in and day out, week after week, month after month, year after year, is probably the most important thing to consider when it comes to Alzheimer’s disease prevention. Fortunately, the dietary recommendations here are not all that dissimilar to those suggested for other common chronic diseases, including cardiovascular disease and diabetes. What is good for the heart is also good for the brain. Dietary recommendations can unfortunately be quite confusing, with someone always coming up with the latest and greatest way to eat. Through all the fads, the Mediterranean diet has withstood the test of time, with innumerable studies showing its benefit in the prevention of a wide range of inflammatory conditions, ranging from Parkinson’s disease to cancer, heart attack and stroke. This way of eating, which is rich in fish, vegetables, fruits, nuts and olive oil, has been proven to be beneficial for the prevention of Alzheimer’s disease as well. In long term studies, adherence to a Mediterranean diet actually reduced the level of brain shrinkage that can be associated with aging. Even in individuals who shifted their diet later in life, measurable changes in mental decline were identified. It’s never to late to make a change for the better! 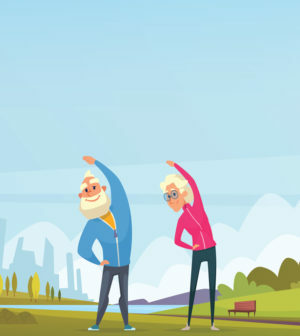 Understanding the parallels between the prevention of Alzheimer’s disease and cardiovascular conditions such as heart attack and stroke, it should come as no surprise that maintaining adequate levels of physical exercise throughout a lifetime is imperative. Multiple studies have demonstrated that regular exercise measurably reduces the amyloid plaque build up associated with Alzheimer’s disease. Importantly, the activity does not even have to be very strenuous. There is significant benefit in simply going for a walk! A study of men age 71 to 93 showed that men who walked less than a quarter mile a day were twice as likely to develop Alzheimer’s disease or other progressive dementia, compared to those who walked over two miles daily. More aggressive exercise earlier in life, especially high intensity interval training, has been shown to lower fasting insulin levels, and given what we know about the relationship between blood sugar dysregulation and Alzheimer’s progression, this is certainly something that should be incorporated into a healthy preventative lifestyle. Adequate sleep is a vital component of any healthy life. Chronic sleep deficit creates measurably increased levels of inflammation throughout the body, and sustained lack of sleep can do significant damage to the human brain. Sleep is a time for restoration and repair of the entire body, and the brain is no exception. Recent research suggests that during sleep there is a shift in cerebrospinal fluid that promotes the cleaning up and eradication of certain toxins and waste materials within the brain. In the face of inadequate deep sleep, the clean up crew cannot do its job, and those toxic materials begin to accumulate, leading to the development of amyloid plaques. It might even be the case that position matters. A mouse study in the Journal of Neuroscience showed that rates of waste product removal within the brain were highest when subjects slept on their sides. In summary, it is important to understand that although the genetic aspects of Alzheimer’s disease risk are fixed for any individual, there are many lifestyle factors that are very much within our control. Regardless of your genetics, taking steps toward the prevention of Alzheimer’s will go far in reducing risk for many other chronic diseases as well. Of course, each individual is unique, and as naturopathic doctors, we treat people, not diseases. As such, it is always a good idea to consult with a physician to determine your individualized risk, which usually includes pursuing the appropriate testing to assess inflammation levels, blood sugar regulation, nutrient levels, and more. Together you can create the optimal preventative wellness plan that best fits you and your life. Dr. Craig Fasullo sees patients in both Stonington and Manchester, CT at Collaborative Natural Health Partners. He is an in-network provider for most insurance companies and is accepting new patients. For more information or questions, please call (860) 533-0179 or visit: www.ctnaturalhealth.com.